Senator Dan Zumbach is a farmer from Delaware County. 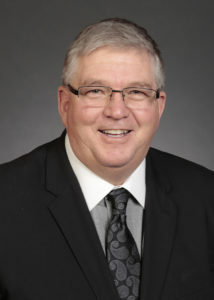 Besides his work on the family farm, Senator Zumbach is a former member of the West Delaware School Board and the Delaware County Fair Board. He is a former Delaware County 4-H leader, a former official for the Iowa High School Athletic Association and Ryan Lions Club. Senator Zumbach is also a member of Farm Bureau and the Lutheran Church. He and his wife, Michelle, have four children, four grandchildren, and live near Ryan.